Conflicting reports have recently claimed that Saudi Arabia called upon Iraq to mediate between itself and Iran. The Saudi News Agency, however, cited a source a few days after this news emerged who vehemently denied its veracity, but it’s important to nonetheless examine why this scenario is not only believable, but would also be very wise if it turns out to be true sometime in the future. Influential Shiite cleric and militiaman Muqtada al-Sadr just got back from a visit to the Kingdom which had tongues wagging all across the Mideast, with commentators unable to figure out why someone who would stereotypically satisfy all of the characteristics of a Saudi opponent was feted as a high-level guest of honor by the royal family. I wrote about this in my analysis for The Duran titled “Is Iraq’s Al-Sadr Going Saudi?”, which postulated that one of the reasons behind the trip may have been that the centrally positioned country between Saudi Arabia and Iran was priming itself for mediating between its two Great Power neighbors, with one of its most symbolically important non-state actors, al-Sadr, crucially taking the lead in carrying this out. It’s unclear at this moment what capacity – if any – al-Sadr could play in any possible mediation efforts sometime down the line, but nevertheless, the geostrategic logic behind having the pivotal middle ground country between Saudi Arabia and Iran mediate between them still holds, as it’s Iraq more so than any other state in the region which holds the key to retaining the balance of power between these two rivals in the interior of the Mideast. Moreover, Iran and Saudi Arabia both have contiguous sectarian interests in Iraq as regards the Shiite and Sunni communities, respectively, and they’re both concerned about what will happen in the aftermath of Iraqi Kurdistan’s independence vote next month. The Kurds’ secession would leave the bitterly divided Shiite and Sunni communities together in an unstable rump state without the balancing factor that their northern countrymen previously provided in keeping the country at least nominally united. Another Iraqi Civil War between these two remaining groups isn’t in Iran or Saudi Arabia’s interests, but they might be drawn into this conflict unintentionally by the uncontrollable strategic momentum and security dilemma between each other. Iran would rather concentrate on safeguarding its interests in post-Daesh Syria, dealing with the rising Kurdish terrorist threat along its border region, and improving its economy. Likewise, the Saudis need to concentrate on their new Cold War with Qatar, drawing down their participation in the disastrous War on Yemen, and initiating long-overdue socio-economic changes through the ambitious Vision 2030 program and weathering any potential political risks which may arise as a result between the ruling family and the Wahhabi clerics. 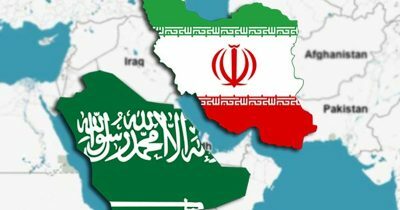 In order to see to these much more pressing tasks, Iran and Saudi Arabia must find a temporary compromise in their Mideast-wide rivalry, as well as preserve the post-Kurdish territorial integrity and stability of a rump state Iraq, which is why it makes sense for Baghdad to take the lead in de-escalating tensions between Tehran and Riyadh, as this could hopefully – if it ever happens – find a way for both Great Powers to cooperate in keeping Iraq together as the most visibly tangible sign of any forthcoming détente. Andrew Korybko is an American Moscow-based political analyst specializing in the relationship between the US strategy in Afro-Eurasia, China’s One Belt One global vision of New Silk Road connectivity, and Hybrid Warfare.